Contemporaneous plays Iceberg New Music next Friday at the DiMenna Center! Roda is also just under a month away, so expect a playlist of the kind of music you'll be hearing at that performance soon, like a new arrangement of Joanna Newsom's music! 5 days 16 hours ago. Roda is officially NEXT MONTH, May 18th at littlefield, you won't want to miss it. Tell your friends! 3 weeks 1 day ago. Check out this new video of Arcomusical performing Kyle Flens' "Echoes", and come see them perform with Contemporaneous at Roda on May 18th! 4 weeks 1 day ago. Also, Abraham Brody at Murmrr Ballroom is next week! Come see friend of Contemporaneous Abraham Brody perform at Murmrr, with our very own Finnegan Shanahan opening! Check out their encore duet from Abraham's performance with Contemporaneous last October! 1 month 2 weeks ago. Come out to National Sawdust this Sunday at 4pm to see friends of Contemporaneous, Arcomusical, a berimbau sextet that will also be featured on our concert on May 18th! More info here: Arcomusical 1 month 2 weeks ago. An ensemble of exceptional and passionate young musicians, Contemporaneous is a New York-based ensemble devoted to the promotion of the most exciting music of our up-and-coming generation: energetic and fresh music that describes our world and captures our existence. 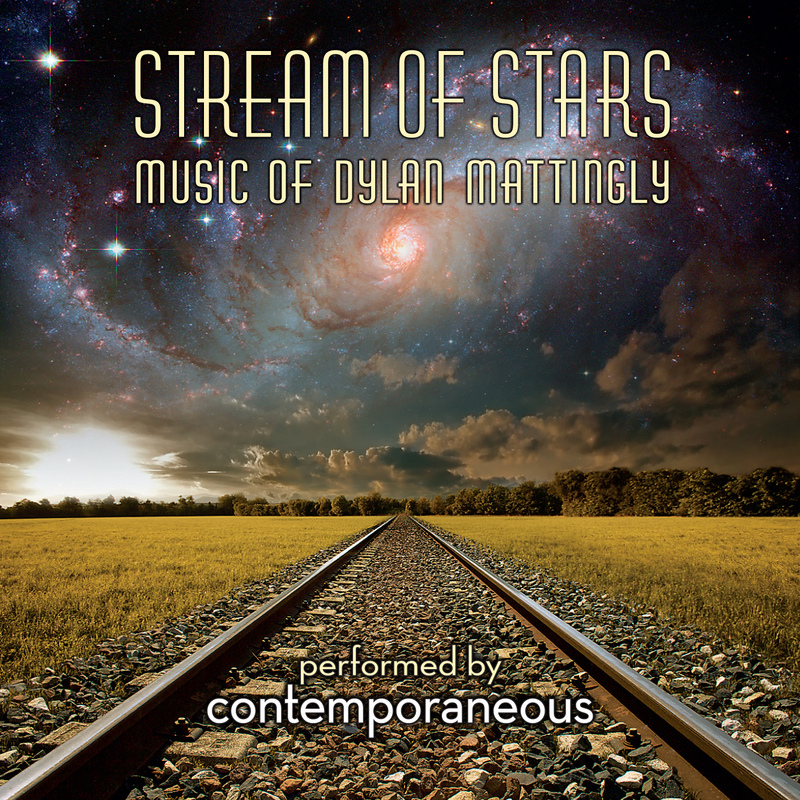 Stream of Stars, the group’s debut album, consists entirely of world premiere recordings of works written specifically for Contemporaneous by its founding co-artistic director, Dylan Mattingly. Stream of Stars opens with Atlas of Somewhere on the Way to Howland Island, an epic and beautiful poem for chamber orchestra that is an emotional depiction of Amelia Earhart’s final journey. You can hear Earhart’s journey in the music: her engine revving, crossing the endless blue, a stop in Tahiti, an elegy at the tragic end to the flight. The finale, though, features an incredible build to an overwhelmingly jubilant climax that sends Amelia’s spirit out into the stars. Six Night Sunrise (Music of Barges and Metallic Stars), for violin and piano, is a sonic picture of a single, intimate moment shared between the Pacific and the stars (and you). The last work on the album is Lighthouse (Refugee Music by a Pacific Expatriate), a down-to-Earth yet intricately sophisticated ode to the Pacific Ocean in a unique and riveting joyride for amplified string quintet. AMERICAN RECORD GUIDE "[T]ruly touching ... and several tender moments."